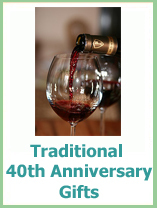 If you are planning a 40th anniversary party you will want it to look great. So you are going to need some pretty special decorations and party bits to make everything look special. 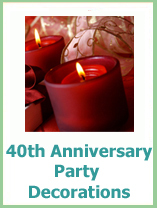 We have discovered hidden gems, gorgeous decorations, favors, invitations and party ideas to help you make your 40th anniversary celebrations look amazing. 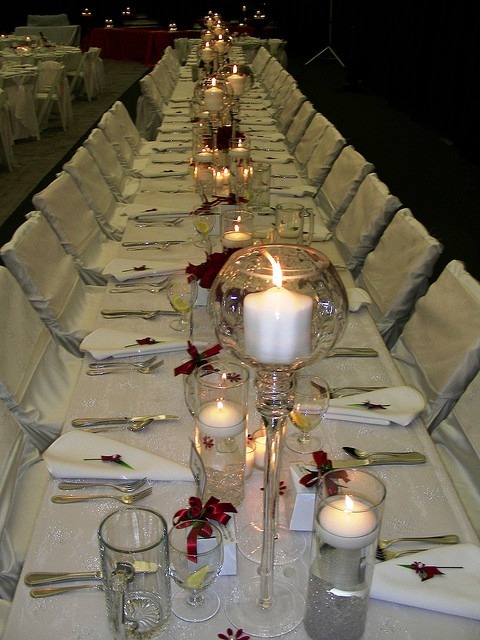 Red candles – always check with your venue that they are ok for you to have candles and at the same time see if they have candelabras that you can borrow, they may even have the candles too! Or you could look to having a 1970's themed party, taking you right back to the year you were married! Just think platforms, flares, disco music and party time. Starting with the colors, traditionally your 40th is celebrated with ruby and this rich, deep color is a great start to any decorations or theme for your party. 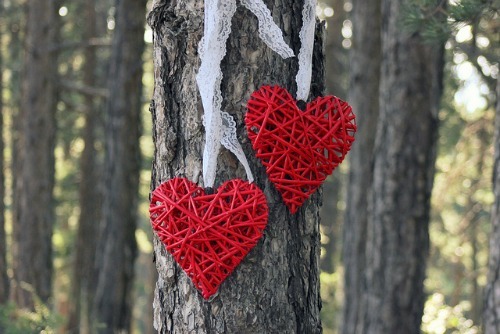 These red wicker hearts would make a great decoration in all sorts of places at your 40th anniversary party. They could be hanging on the door to welcome your guests or just liek this photo they could be hanging on the trees outside. If you were renewing your wedding vows you could have these as pew end decorations. Or you could hang them from the ceiling or the backs of your chairs at the party. Love the very subtle use of red at these party tables, a small red ribbon with a flower at each place setting and on the favor boxes. Plus delicate red flowers scattered on the table. Red roses are the flower of love, but they can be expensive. 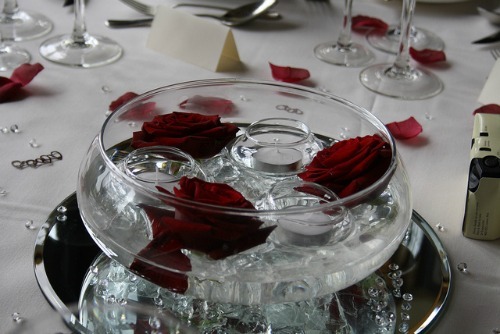 This table centerpiece uses 3 red roses and then additional color is added with the scattering of red rose petals. Lots of ruby red to decorate an amazing looking 40th anniversary party. You could use red tulle for the tables, chair sashes or chair covers to get your own gorgeous looking party. A great party needs to start with a pretty special invitation and 40 years are celebrated with rubies – across all of the lists. 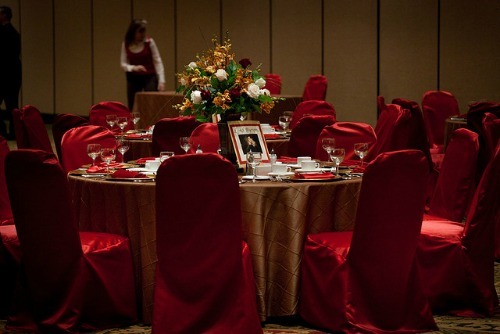 So, you won’t go wrong with using the deep color red as part of your party theme. Of course you don’t have to go with ruby red, instead you could look at a 1970’s theme. Or you could theme your party as the wedding you always wanted.